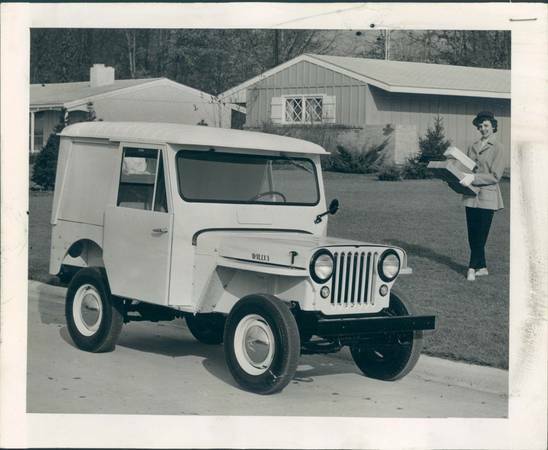 Most Americans of a certain age – you were aware of your surroundings by the early 1990s – will remember the postal Jeeps that were everywhere, getting the mail delivered. Far fewer will know that the DJ series of Jeep dates back to 1955, with the DJ-3A. Based on the CJ-3A, it was offered with a hard top, soft top, or van body. There was also a right-hand-drive postal version, and special versions for resorts and vacation areas. 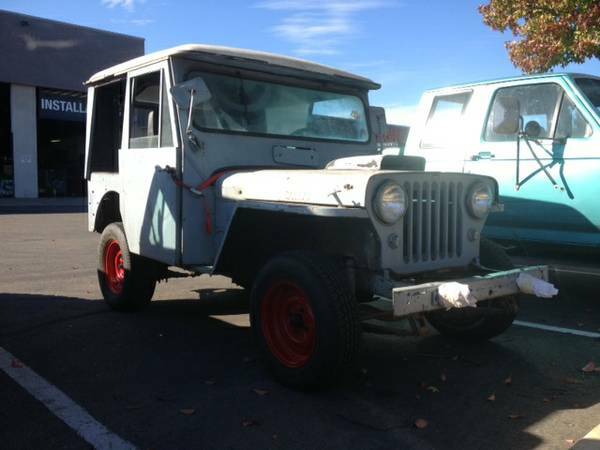 You can find this Jeep DJ-3A hard top for sale in Dublin/Pleasanton, CA for $1300. The seller says these cars were often used for delivery purposes, not just by the post office. 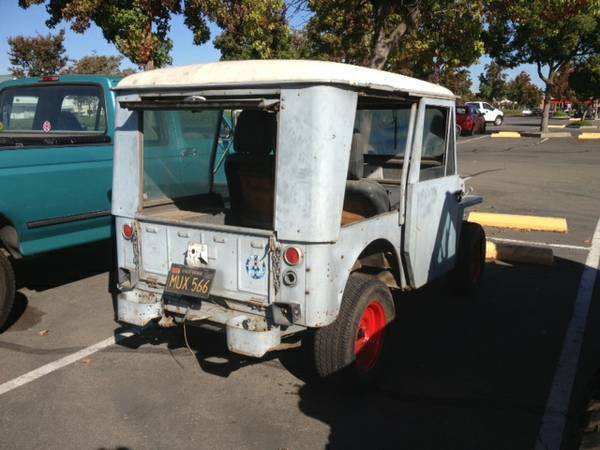 The seller is suggesting making a rat rod out of it, because hey, why not, it’s even got red wheels already and you just need some flat black rattle cans and presto! Given how unusual the vehicle is, it would be interesting to determine its original purpose and perhaps restore it to reflect that. He also has access to a crashed Mazda RX-7, which he will throw in for an additional $250. Frankly, it seems like it would be easier to sort the original engine, and would probably also help maintain the resale value. While you’re at it, get rid of the silly hood scoop – is this in any way a hot rod with its L-head 4-cylinder? It looks like the right rear panel is missing, and judging by the left side of the car, this was something like a plexiglass window. The rear hatch slides out and folds down. Early black-and-yellow plates do nothing to help determine the age of the car, since all drivers had to convert to these starting in 1963. 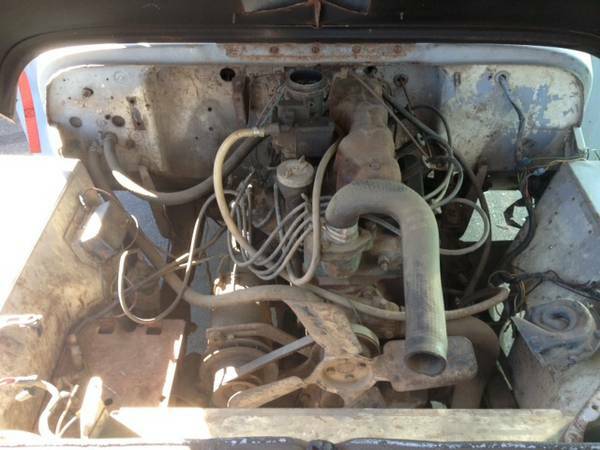 The engine is in unknown condition, but is said to have not run since the 1970s. In any case, the radiator is missing, but hopefully these are shared with other Jeeps of the period, as there would be plenty of suppliers who could help. You’ll never do much performance driving with this thing anyway, but it would be fun to run down to the shops, especially if you live in a mild climate. While we try to avoid featuring non-running cars, this one gets a pass for rarity. Here’s a period shot to show how these were used. Apparently, they’re light enough for a woman to handle – you have to assume that’s what they were trying to say here. These would make a great city runabout alternative to, say, a Smart ForTwo – imagine not worrying about who hits you when they’re parking, and at the same time being able to easily squeeze into parking spots, narrow streets, and over curbs! This entry was posted on November 7, 2013 at 1:52 pm and is filed under Feature. You can follow any responses to this entry through the RSS 2.0 feed. You can leave a response, or trackback from your own site.